Cosmetic Dentistry - Smile Big, YOU DESERVE IT. Combining art and science to improve your mouth, teeth and smile. 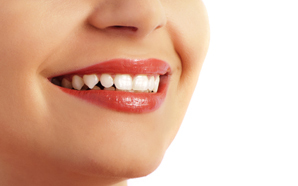 Veneers are a helpful and cost-effective way to reshape your smile. Teeth that are badly stained, cracked teeth, misaligned, shaped or crooked may be improved by a placing a veneer on the surface of the affected teeth. Thin pieces of ceramic shells, or veneers, cover the natural teeth requiring treatment. They have a longer life expectancy and more color stability than bonding, and are highly resistant to permanent staining from coffee, tea or even cigarette smoking. Once goals are established and a plan is in place, preparation of the teeth will begin. First with molds, then custom fabricated veneers of the impressions. This process takes the lab ten to fourteen days to complete. While waiting, we will place beautiful temporary veneers on the teeth requiring treatment. Once the permanent veneers are complete, we will replace the temporary veneers and you can begin to smile with confidence, again. During the two-week period of adjustment that follows, you may notice a change in size and shape of your teeth. It’s important to brush and floss daily. After one or two weeks, you’ll return for a follow-up appointment. Porcelain veneers are reasonable facsimiles of natural teeth, not perfect replacements. It’s not uncommon to see slight variations in the color of porcelain veneers upon close inspection, as this occurs even in natural teeth. Do you want to brighten your smile but have questions and don’t know where to start? The Waukee Dental team has been trained on several treatment options that can help you achieve the beautiful, bright smile you have always wanted. 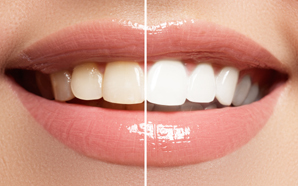 Teeth whitening is done in two steps. 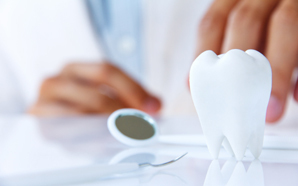 First, an impression is made of your teeth to custom-fit your bleaching trays. A perfect fit is important to keep the bleaching gel from irritating gums. The next step is to take the trays home for 7 – 14 days of treatment. Place the bleaching solution in the bleaching trays and to wear them approximately 1 – 2 hours per day. You will soon see a dramatic change in the brightness of your smile. It is a great way to regain confidence and a sense of youth. Composite bonding is a process in which an enamel-like material is applied to a tooth’s surface, sculpted to an ideal shape, hardened and then polished for an ideal smile. This procedure can usually be accomplished in a single visit. When teeth are chipped, broken or slightly decayed, bonded composite resins may be the material of choice. It’s used as a tooth-colored filling for small cavities and gaps, or to cover the entire outside surface of a tooth to change its color and shape. It typically entails just one office visit and the results last for several years. Bonding is more susceptible to staining or chipping than other forms of restoration such as veneers.